In 2017 Travel Play Live Magazine contributed to 'The Palgrave International Handbook of Women and Outdoor Learning'. A textbook presenting a collection of essays from women across the globe who live, work and participate in outdoor learning environments. The essays focus on the ways women adventurers are rising up from having been marginalised in outdoor learning for centuries. Our chapter, “Inspiring Adventurous Women Towards an Inclusive Future in Outdoor Learning Environments” attempts to present the soul of women’s adventure through our magazine and message, which represents the everyday woman. It embodies the heartbeat of women’s adventure and shares a new narrative—one of diversity, passion, triumph, and change and that is a reason to celebrate being an outdoor woman! 2017 was also a landmark point in history with women across the globe now making up 51% of outdoor consumers, and 160 million adventure travellers are now women. And that's not all. 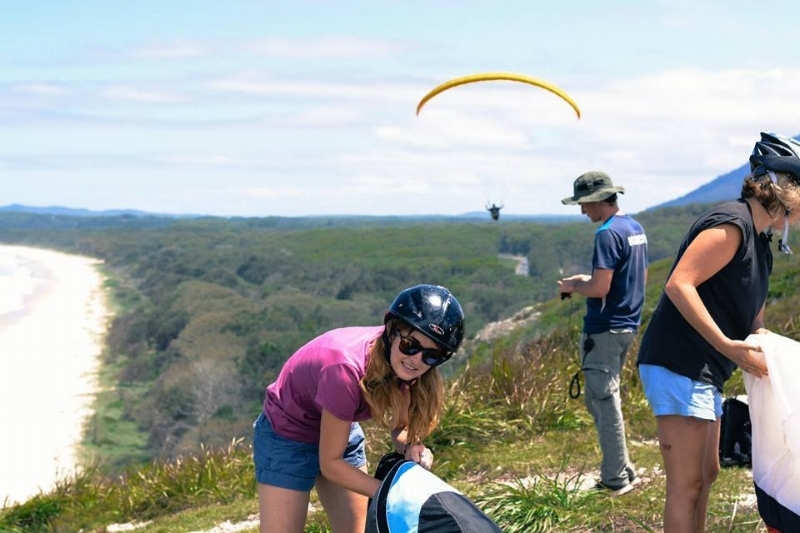 There are organisations across the globe, like our newly formed Australian Women’s Adventure Alliance working to push the visibility of women, and they way they choose to experience the outdoors, forward in industry, media and the public eye here in Australia and New Zealand. We believe 2018 will be further reason to celebrate, as alongside individuals and like-minded organisations in the Australian adventure, travel, tourism and media landscape we're sharing our collective strengths. We are setting out to change the representation of what adventure actually means to women, the many ways we like to interact or ‘be’ in the outdoors and how and why we connect with Mother Nature. 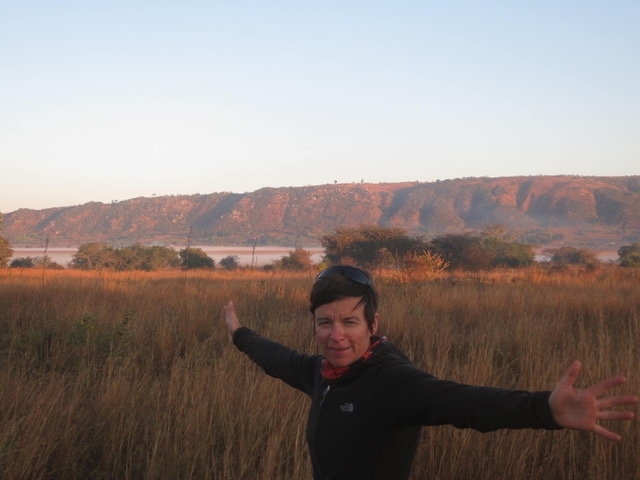 So what is a ‘Real Outdoor Woman’ and what does adventure to her look like? When you step outside and actually observe, you will realise that a singular image, is a falsehood. She is many things. She interacts with the outdoors in many ways. She seeks her own definition of adventure, and she often uses it to build strength and confidence, to have a voice and create change individually, locally and globally. 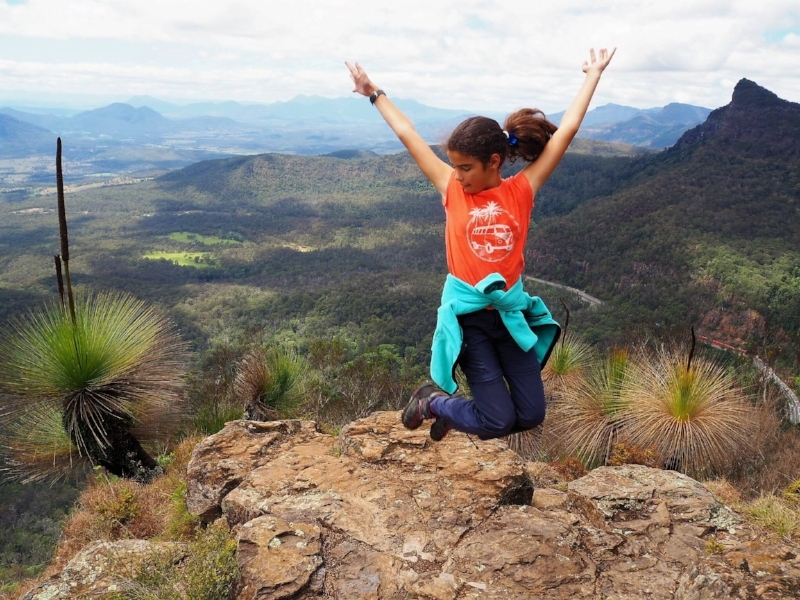 Women like us are everywhere, and our Australian Women’s Adventure Alliance is working to reject the narrowness of society’s ideals. We are the women standing in our truth — and sharing whatever adventure and its benefits, across the board, look like to us. No matter our age, shape, size, colour, ability, or religion we believe adventure and the outdoors are under- utilised tools for all, but especially women. There is no ideal, we are it. Recently, Travel Play Live asked their followers what “adventure” means. Individual women shared their favourite photo’s and their thoughts. This selection provides a sample representing the diverse backgrounds, ability levels, and sources of happiness in the outdoors that exist within our Australian Women’s Adventure Community. The moments that depict what adventure is to us and how diverse we are in our thoughts about its influence. Adventure to me conjures up the unknown. The embarkation on a journey of a different kind that sparks all the cells in my body into the now with the feeling of trepidation. This is what living a full life’s all about... Knowing that the outcome far outweighs staying in the comfort zone of everyday life. Adventure means friendship, letting loose and creating memories to last a lifetime and stories to tell my grandchildren around the campfire. It’s about creating a life you love and learn from. It comes in so many forms, joining a women’s outdoor group, playing with the kids outside, jumping on your bike for a quick trip around the block, exploring your local beaches, pushing your personal boundaries and developing new friendships. For me Adventure means a real, authentic feeling that can make you feel excited, nervous, scared, challenged, daunted, intimated, inspired, empowered, or all of these! For me, it’s when I feel the most alive. Doing great things in the outdoors, adventuring is what leaves me feeling like this. I believe adventure is a mindset. 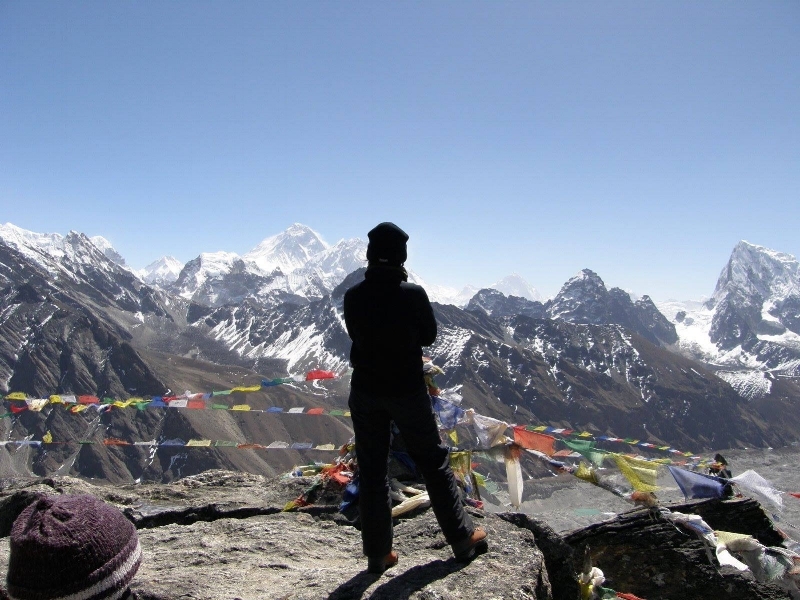 It's not just traveling for 6 months, bungee jumping or going up to Everest basecamp. Its a pact you make with yourself not to settle for less, be average or take the easy route. It's about taking risks, not comparing yourself to anyone else and being ok with not knowing what lies ahead. It doesn't mean to be fearless but not letting fear stand in your way. It's about challenging yourself and pushing yourself further than you ever imagined going but also accepting that sometimes it just isn't your day. 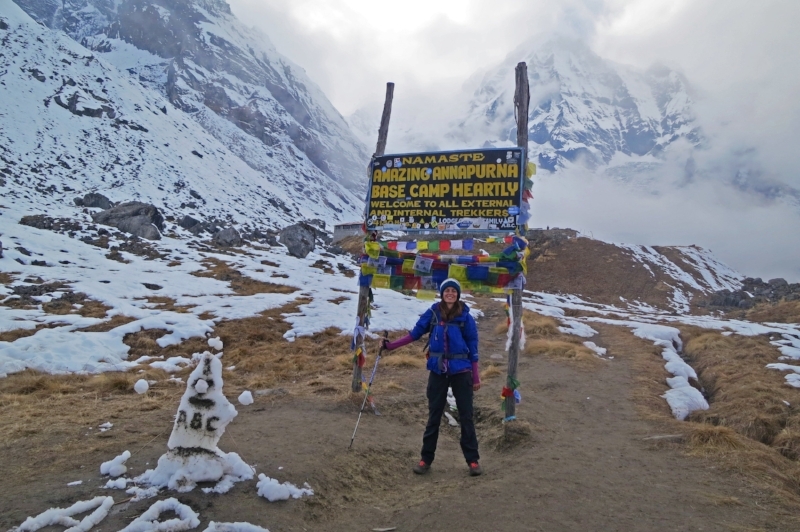 And in the end, every adventure creates incredible memories you can cherish for a lifetime, like the adventure I went on is this photo, a yoga trek up to Annapurna basecamp in 2014, one of the most beautiful and inspiring journeys of my life. This would have to be one of my favourite adventures this year. When staying on Nusa Lembongan in Indonesia, I wanted to explore part of the country that wasn't as touched by tourism. I charted a boat to Nusa Penida, hired a scooter and set off on an epic adventure over barley formed roads, questionable trails and some of the most gut-wrenching paths I've ever tried to cross. The views and the out of this world colours were something that will stay with me forever. PS I walked down the jawline to that beach! "I learnt to surf later in life, for me, it was like finding another part of my soul I never knew I had, I loved it so much. I'm a pretty atrocious surfer, to be honest, and for a long time I felt that to be able to call myself a surfer, I had to be great, a super star who can charge any wave, certainly not someone who knee pops! Until then I was only ever going to be a "wanna be surfer" or someone "trying to surf". This wave - Frigates in Fiji - helped change that. It is a world famous reef break, and this is one of my favourite waves to date. I was so thrilled to be riding it that I threw my arms up in the air and screamed with delight, my girlfriend taking the photo yelled out to me warning me "don't over-froth! Don't over froth" but in my excitement, I totally over-frothed and wobbled with sheer joy off my board and the wave pummelled me with a good sea spanking. I came up bedraggled, salt water pouring from my nose but with a grin like a Cheshire cat - I was so happy, how could I not be a surfer too? It doesn't matter how proficient you are on an adventure, if you are out there doing it, you can call yourself an adventurer." This photo was taken just as I was preparing to do my first paragliding flight after the practice runs. I was utterly terrified, checking and double checking everything. I wanted to pull out right up the moment that my feet came off the floor. Despite my fear, flying in the air across that beach was one of the best feelings I've ever had. When I landed my partner, who'd gone before me nervously waited to see if I'd loved it or hated it. I think you could see the smile on my face from the sky! Safe to say one of the best days of my life! This photo and moment is one I treasure. On my first trip to Nepal, we hiked up Gokyo Ri for a view of Everest. I struggled up the long climb due to the altitude and was trying not to beat myself up mentally for being the slowest in my group. But I took my time (and lots of photos) knowing I would get to the summit, eventually, if I just kept moving forward. I was last in my group to summit, but that view is one I'll never forget. I remember standing there, staring at Everest and telling myself if I could do this hike, I could do anything I set my mind to. As for the photo, it was not staged; I didn't even know it had been taken! My tentmate had picked up my camera, which I'd left on my bag, taken the photo and put my camera back; I only discovered the photo that night when we were back in our tent! Such a gift I'll remember forever! Throughout my life most of my relationships and emotional experiences had always seemed to reinforce the notion that I was never "enough"; pretty enough, smart enough, good enough, strong enough, enough to love, enough to stay with. Anytime I allowed myself to be vulnerable and emotional, life's lessons seemed to tell me I wasn't enough, and I felt weak. I spent my 40s waiting for my life to change until I realised my life was waiting for me to change. It was such an epiphany. During my 40s I've challenged myself physically with increasingly difficult endurance endeavours in running, swimming and, now, cycling. I recently turned 50, and this is a photo of me at the completion of a ride through the Australian alpine wilderness, remote and rugged, which included going up and over some the highest peaks in the country. It was grueling, it was remote at times, my bike was heavy, and the days were long. I wanted to quit at times, and I felt vulnerable and questioned if I was strong enough. As I cycled into the finish after 650km, I felt at peace. Finally, I can look myself in the mirror and know in my heart that I am enough and that anything I can accomplish is good enough. In February three of my sisters and I did a three- day hike in Tasmania. Aged between 56 and 45 and encompassing every body shape we were on the receiving end of many interesting looks and probing questions. We were told by every hiker we asked about a particular trail we wanted to try on Day 2 that is was incredibly difficult and we’d be better off taking the longer safer alternative. On Day 2 when the weather turned to crap we decided to just go for it and take the direct route. It was hard, muddy and wet but we spent the day laughing at our slips, falls and mud covered butts. It was a great reminder not to let other people’s expectations of your abilities get in the way of a great adventure. We may not look like your typical adventurers but between us we’ve hiked mountain ranges on every continent except Antarctica, cycled across countries, rock climbed, paraglided, travelled the globe and birthed 6 children. One muddy trail in Tassie has nothing on us! There are so many wonderful adventures to be had. You just need to believe in yourself and have a crack at it! Adventure means finding a fork in the trail and taking the harder option because I believe in myself, my body and my mind. To mean it also gives the opportunity to encourage women and girls, (especially my daughter) to love the outdoors and the trails - instilling confidence, resilience, strength and knowledge that only adventures bring. We would love you to help us continue this message, so by all means #sharetheadventure with us in 2018 as we begin to showcase just how diverse adventure really is and the opportunities we can leverage for a happier and healthier life.